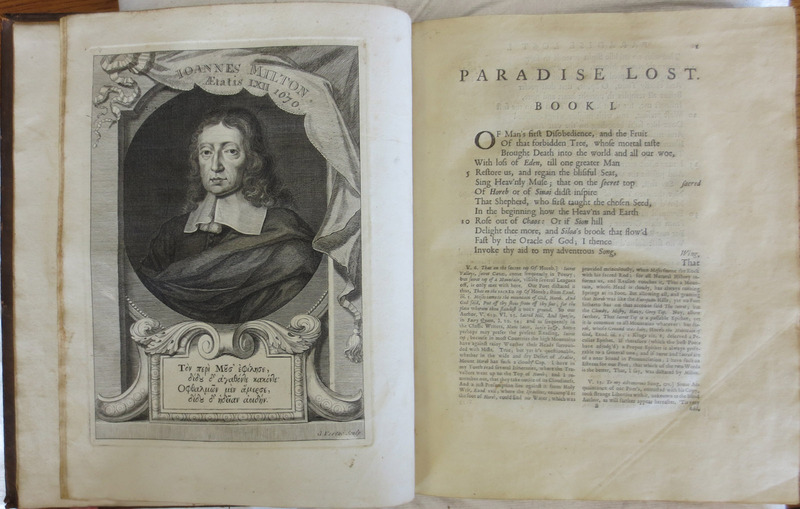 Milton's Paradise Lost : A New Edition, by Richard Bentley, D.D..
London: Printed for Jacob Tonson; and for John Poulson; and for J. Darby, A. Bettesworth, and F. Clay, in Trust for Richard, James, and Bethel Wellington, 1732. This edition of Paradise Lost is perhaps the most controversial. 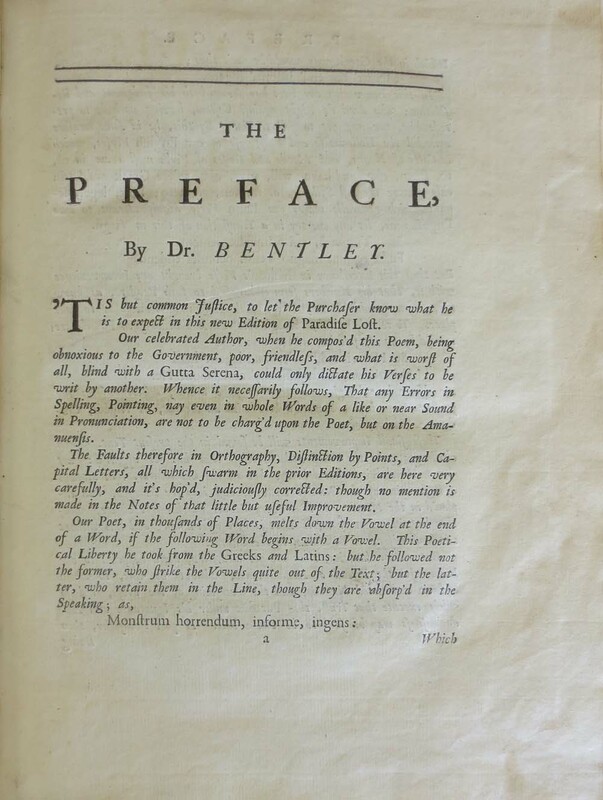 Richard Bentley, England's foremost classical scholar, completed this critical edition in order to retrieve "the Poet's own Words ... by Sagacity, and happy Conjecture." However, Bentley's attempts to put to rest the discussion of Milton's intentions for his text were not successful. This edition and the foundations of Bentley's scholarship were denounced by contemporary scholars. In order to support his premise that Paradise Lost was the "most corrupt" book ever printed, Bentley concocted a fictional account regarding the history of the printing of Paradise Lost, including the invention of a "phantom editor" who had mysteriously altered the text on several occasions. He also refused to use the surviving manuscript of Book I in the hands of his publisher Jacob Tonson when working up his text. As a result, this edition ceases to be Milton's text and becomes Bentley's interpretation. To Bentley's credit, his emendations and comments are included as footnotes and are not directly incorporated in the text itself. This breaks stride with previous practice of silent emendation by editors of Paradise Lost. The scholarly uproar resulting from this edition resulted in the first comprehensive attempts to define an authoritative text from the many published editions. This effort brought about Newton's edition of 1749.